In 1976, Albert Spaggiari engineered the European crime of the century - a bank heist in Nice accomplished "without guns, without violence, without hate." Spaggiari and his gang of 20 men dug a 25-foot tunnel from the city's sewer system into the bank and lifted about $10 million in gold, jewelry, gems, and cash. Tracked down and captured, Spaggiari escaped from the French police by jumping out a window and onto the back of a motorcycle. 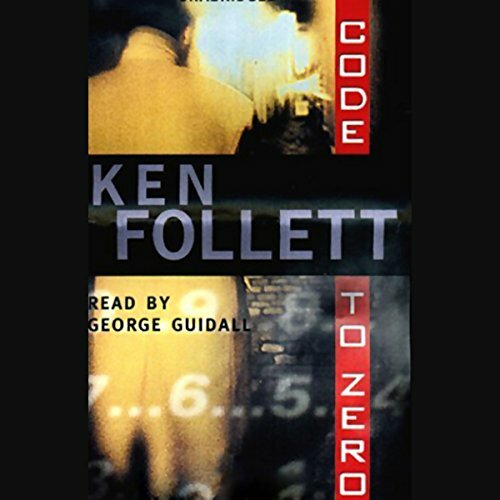 So begins Code to Zero, Ken Follett's explosive tale of intrigue, espionage, and conspiracy. It's January 1958, a dark hour in the cold war and the early dawn of the space race. At Cape Canaveral, a countdown has begun. On launch pad 26B sits Explorer I, America's best hope to match the Soviet Sputnik and regain the lead in the contest for the skies above. As Luke Lucas starts to unravel the mystery of his amnesia, his desperate search leads him back to his Harvard friends: to his wife, to his best friend, to the woman he once loved more than life itself...and to the rocket that stands ready at the Cape. For Luke knew something that someone deliberately wanted him to forget, and unless he is able to discover his own deadly secret, he may be left powerless to save the launch of Explorer, and with it, America's future. 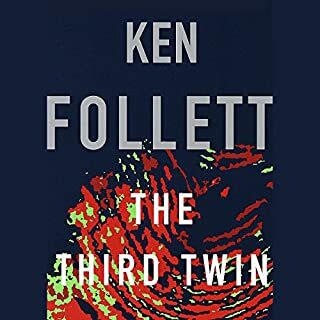 Don't miss Ken Follet discussing the history of the thriller and its role in literature at the 92nd Street Y. 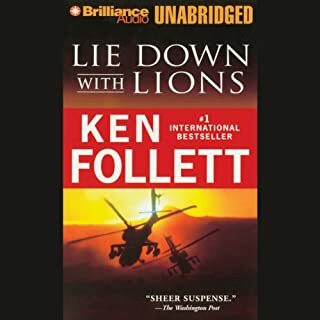 Though it didn't keep me on the edge of my seat, and I felt the characters could have been a bit more developed, I still found this to be an entertaining and well written book. There were several plot twists that were an unexpected surprise, but for an espionage book, it was still a bit mild. 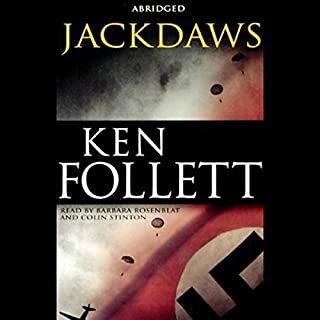 I like Ken Follett and just finished Hornet Flight, an excellent book! Code to Zero started off unbelievable and continued throughout. I don't want to give anything away but the obvious course of action from the beginning for one of the main characters becomes his obsession half way through the book. 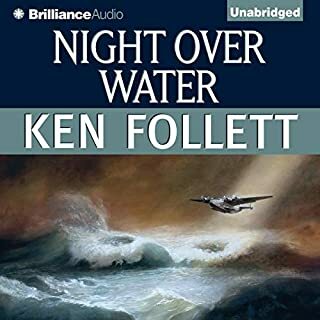 Skip this one unless it's the only Follett audio book you haven't heard yet. Follet has written better books but none in which he ties up all the loose ends so satisfactorily. It's 1958 and he opens each chapter with an update on the status of an upcoming space venture. By the end of the story you are on pins and needles wondering if this massive undertaking will survive the cold war criminality kicking up dust. Some of the characters are a bit "cardboardish" and this results in an overall impact less than it could have been with Follet at his best. Still, for espionage and edge-of-your-seat thrillers, Code to Zero scores a big red "A"
This story grabbed my interest and held it from the outset. Characterizations were rich and believable. Suspense on every page, etc., etc. Truly one of the most engaging books I've listened to recently. 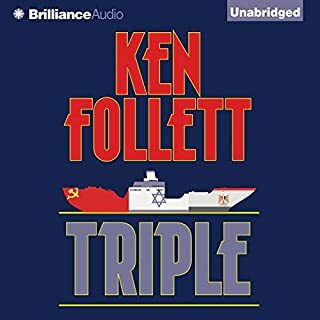 Follett allows the plot to sink into predictability. Since it becomes pretty obvious how the plot will unfold, the ending lacks suspense. Although a work of fiction, the impact of the story was weakened by Luke's quick recovery from amnesia, and the subsequent march of characters into the story without much background development. Not one of Follet's best, I read it through out of curiosity, to determine whether my ending was different from his. The 2nd Time --- as good as the 1st !! 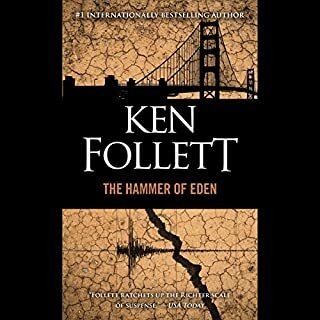 Reviewing my previous listened to books I have found that Ken Follett's was well worth a second read. The action, mystery, & suspense held my attention as it did a few years ago!! Give it a try --- it will merit your time! Found this book difficult to stop listening to. I listen to audio books all the time while driving, before I go to bed, while doing tasks, relaxing. And this one was exciting that I wanted to just lay down and listen to!!! I enjoyed how Follett blend snippets of facts with flashbacks. The characters were brought to life especially Billy Josephson and Luke Lucas. The narrator did an excellent job of separating the characters with the changes in voice. Very Consistent. I was 8 years old when the satellite launch took place, so I recall parts of the news and studied the launch in school from our Weekly Reader. This book takes place in the 1950s. That didn't bother me, as I am of that generation. I even assumed it had been written in the early 1960s. The attitudes and ridiculously simplewriting style are clearly of that era. I could not believe it was actually written in 2000. Has the author been living in a cave since then? It was so simple minded that it was actually amusing. The plot is very weak, and the characters are unbelievable - even for that time period. The romance, so to speak, is passionless and trite. Save your time and money.